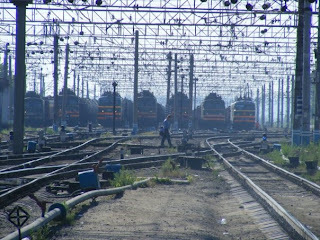 From Zabaikalsk, the Trans-Manchurian winds further northwards to join up with the Trans-Siberian railway at Chita. The two routes are often confused, as is the trans-Mongolian railway, which travels straight across Mongolia rather than detouring around it via Manchuria. The Mongolian route is quicker but it also entails having to get hold of another costly visa. 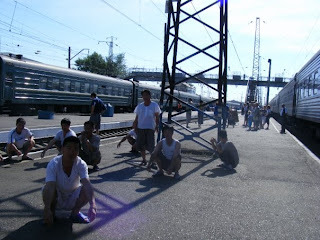 The original trans-Siberian route, on the other hand, will never take you to Beijing at all and carries off instead to the pacific port of Vladivostok. 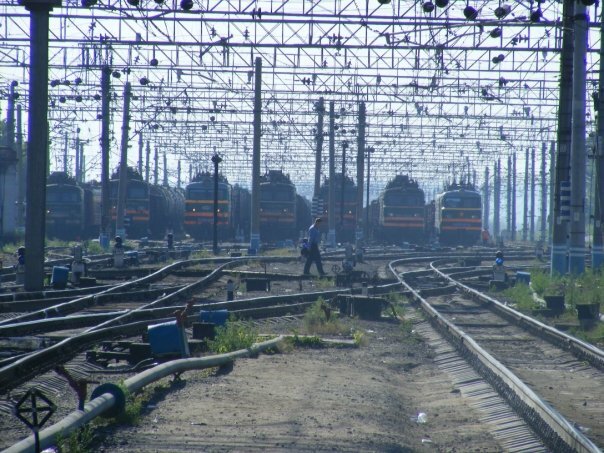 The 9288.2 kilometres from Moscow to the Pacific is the actual Trans-Siberian railway and it never leaves Russia. Nonetheless, the area in which Vladivostok is located was once known as Outer Manchuria and it is only in relatively recent times that China has given up all claims to it. The land was seized in a series of massive land grabs in 1858 and 1860 by Nikolay Muraviev, on behalf of but initially without the authority of the Imperial Russian crown. The two successive bloodless expansions earned Russia 910 000 square kilometres of new land. Not bad for a guy commanding a few thousand men, mostly ex-serfs. The Russian success in the 19th century is in complete contrast with the first clashes that took place over two centuries before, when the imperial armies of the middle kingdom easily routed the Russian adventurers who had straggled across the Siberian plains. The Russian manifest destiny was, thus, in a sense complete at a much later stage than it first began. At a time when the English were only beginning their colonization of Northern America, Russian pioneers had already made it across some of the most inhospitable territory in the world. Whizzing past in a train in mid-summer doesn’t quite give an impression of what the adventure must have entailed. But I bet over-wintering in Zabaikalsk would, brr. The landscape across the border does not alter dramatically, but becomes even more open as it embraces ever wider and ever emptier grasslands. The landscape within the train, however, changes, though at first imperceptibly, as the Chinese retreat to their compartments to enjoy surprisingly elaborate feasts, which they pull out from who knows where. Furtive glimpses piece together familiar scenes of loud toasting and cheerfully messy eating, just as they would in any Beijing restaurant. No one seems unencumbered by the lack of space and multiple cooking smells wafts across the carriages. The food must have run out after a few days, though, as the bathroom sink soon started clogging up with the remains of instant noodle. The food compartment, which was habitually full on the other side of the border is now virtually empty. The fare on offer is borscht and smoked salmon with no Kung Pao chicken in sight. The Chinese passengers, consequently, shun the place while us westerners who would be quite happy with the food are driven away by the high prizes and the small size of the dishes. The new diet is bread, sausage and cheese, which are obtained from bent over old ladies flogging them on the station platform. Stocking up on plenty of snacks is advised though. Not long after joining up with the trans-Siberian, the train skirts past what is arguably the most striking attraction along the six-day journey, the Lake Baikal. The cities Ulan Ude and Irkutsk are situated at either ends of this immense lake and both retain an atmosphere of outposts, staked out by pioneers across an untamed and forbidding land. Even today, the sense of isolation is unmistakable as immense forests envelope the towns from the north. Picturesque Russian cottages dot the outskirts according to the regular pattern of any respectable suburbia, and in between run unpaved dust lanes beckoning of what must become a navigable nightmare in winter. Ulan Ude holds on to a Mongolian legacy and bears in its promotion of that heritage witness to the fact that the area was not empty before the arrival of the Europeans. 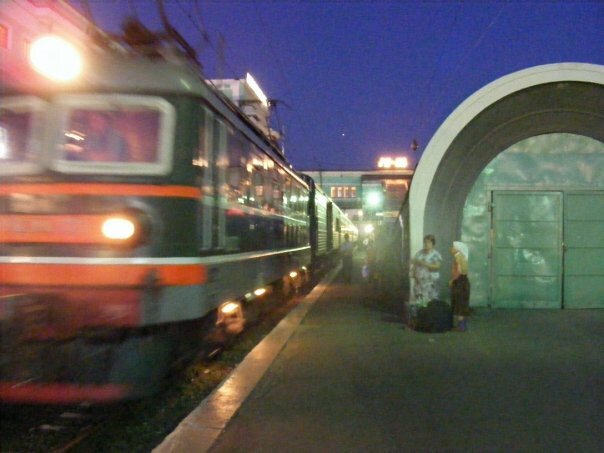 Irkutsk, on the other hand, appears as the very essence of a Russian frontier town, especially as the cottages is all that can be glimpsed from the train, though the city centre is supposedly lovely and chock full of Russian onion domes. The lake in between can hold the traveller’s fascination for hours, although this is perhaps because the landscape has been desolate for days up to this point and the mind is hungry of any sensory input. Russians are a folk that bravely and proudly sport speedos, often over which are hung sagging bellies. However, that is not say that as a people they are especially unfit, quite on the contrary. The lake is magnet for all sorts of swimmers. All across it, there is an unusual sense of life as cars and caravans and endless suntanned faces dot the shores and efface the ancient mystique of the place. Beyond this point, the far east becomes Siberia and the pine forests grow thicker. The glimpses of the cities we pass suggest industrial decay; Krasnoyarsk, Novosibirsk, and as each stop flows into the other, there is a slight sense that Europe is slowly edging closer. The provodniks proudly pull out bedraggled sleeveless shirts and ill-fitting shorts as they cling to empty cans of beer and acclimatize to the heat. As far as I could see, there were no I-love-momma tattoos to complete the picture, unfortunately. However, a little provodnik intrigue was uncovered when the most sourly of our carriage’s duo of provodniks was surprised with a provodnitsa on his lap. His colleague had warmed up to us ever since we offered him a bottle of vodka at the border. However, the effect of this did not go much beyond him pointing excitedly every time we returned from a stroll across the platform during stops. The second of the carriage’s toilets remained locked for exclusive provodnik use. The Chinese passengers would all squat in circles on the platform during stops but otherwise remained completely indifferent to their exotic surroundings. The last Siberian pit stop is Ekaterinburg, the place where the last czar and his family were executed by orders of Lenin. I don’t know whether there was any symbolic intent in sending them off to Siberia to be eliminated, but if it was, the effort seems a bit of a half measure as the city is only just across the Urals. In its position as a spearhead into Asia, however, the town must have been important as a starting point for eastern exploration and conquest. On the other hand, the edge of Europe at which foot the town lies is a huge disappointment. Instead of rising up majestically at the intersection of two continents, the Ural ”mountains” barely qualify as hills, at least at the junction at which the train passes. If you didn’t think the geographical distinction between Asia and Europe was arbitrary before, you certainly will climbing these paltry stumps, masquerading as mountains. Nothing much changes as you enter European Russia, except the vague sense that you are now entering a heartland. That is despite the fact that we are still yet to pass the vaguely oriental sounding Kazan before entering medieval Russia. The capital of the old mogul khanate proved to be the last and only true obstacle to Russian expansion eastwards and when it fell the far east was Russian. Once along the towns of Nizhniy Novgorod and Vladimir, however, the onion domes become truly Russian of old. That is till we finally, all of sudden, reach the heart of the heart, Moscow.